Major League Soccer started its 21st season this month. After two decades of soccer played many milestones have been set by the MLS originals and now a second generation of players is topping them – for better or worse. 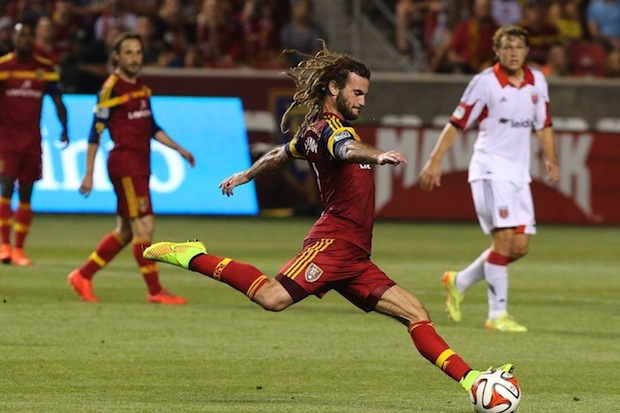 Kyle Beckerman (31588) can surpass Steve Ralston (33,142) for the most MLS minutes played. Kyle Beckerman (352) can surpass Steve Ralston (372) for the most MLS starts. Nat Borchers (28,627), Davy Arnaud (28,462) & Brad Davis (28,287) can move into 3rd all time for most MLS minutes played if they can catch Bobby Boswell (28,878). Brad Davis (325), Bobby Boswell (323), Nat Borchers (320) & Davy Arnaud (316) Chad Marshall (311) may all move into 3rd, 4th, 5th, 6th & 7th all time most starts in MLS. Tyrone Marshall (297) will enter the top in MLS starts with 17 more this year. 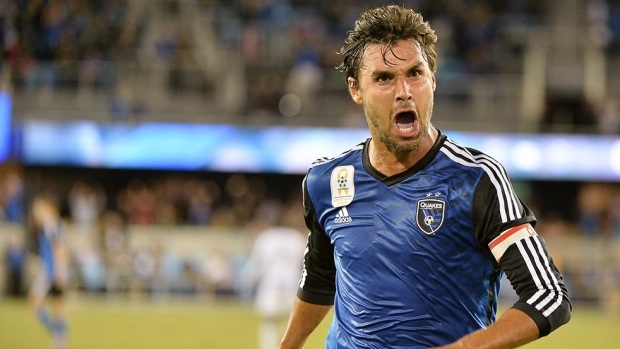 Chris Wondolowski (111) will be climbing the MLS scoring chart. will surpass Ante Razov (114) as the 4th leading goalscorer in MLS history with 4 more goals. will surpass Jaime Moreno (133) as the 3rd leading goalscorer in MLS history with 24 more goals. will surpass Jeff Cunningham (134) as the 2nd leading goalscorer in MLS history with 25 goals. will surpass Jeff Cunningham (40) for 2nd in MLS game-winning goals with 4 more. will surpass Landon Donovan (41) for 1st in MLS game-winning goals with 5 more. Kei Kamara (74) can reach 100 goals with 26 more. Robbie Keane (74) can be the fastest to reach 100 MLS goals with 26 more (even with a few games stretching into 2017). Brad Davis (122) may overtake the crown as MLS’ leader in assists. will surpass Steve Ralston (135) for 2nd in MLS career assists with 14 more. will surpass Landon Donovan (136) for 1st in MLS career assists with 15 more. Javier Morales (77) can reach 8th all time in assists. will surpass Mauricio Cienfuegos & Chris Henderson (80) for 10th with 4 more. will surpass Andy Williams (86) for 9th with 10 more. will surpass Cobi Jones (91) for 8th with 15 more. 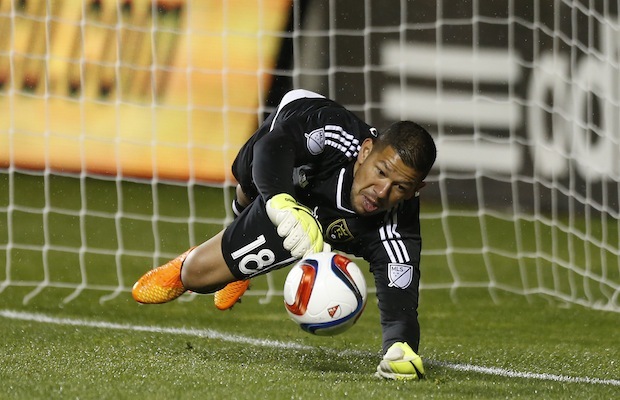 Nick Rimando (173) can surpass Kevin Hartman (180) as the winningest goalkeeper in MLS history with 8 more wins. Nick Rimando (1,370) can surpass Kevin Hartman (1,474) with the most saves all time in MLS history with 105 more saves. Nick Rimando (35,793) can surpass Kevin Hartman (37,260) as the goalkeeper with the most league minutes played with 1,467 more. Jeff Larentowicz (457) to 3rd place all time fouls committed. will surpass Shalrie Joseph & Carey Talley (463) as the 7th leading fouler in MLS history with 7 more. will surpass Brian Mullan (469) as the 6th leading fouler in MLS history with 13 more. will surpass Chris Henderson & Pablo Mastroeni (474) as the 4th leading fouler in MLS history with 28 more. will surpass Jesse Marsch (477) as the 3rd leading fouler in MLS history with 31 more. Tyrone Marshall (452) to 3rd place all time fouls committed. will surpass Shalrie Joseph & Carey Talley (463) as the 7th leading fouler in MLS history with 12 more. will surpass Brian Mullan (469) as the 6th leading fouler in MLS history with 18 more. will surpass Chris Henderson & Pablo Mastroeni (474) as the 4th leading fouler in MLS history with 33 more. will surpass Jesse Marsch (477) as the 3rd leading fouler in MLS history with 36 more. Atiba Harris (437) will reach top 10 in MLS for fouls committed with 25 more fouls. Javier Morales (503) can reach 8th in MLS for fouls suffered. will surpass Brian Mullan (526) as the 9th most fouled in MLS history with 24 more. will surpass Landon Donovan (537) as the 8th most fouled in MLS history with 35 more. Brad Davis (496) can reach 9th in MLS for fouls suffered. will surpass Brian Mullan (526) as the 9th most fouled in MLS history with 31 more. will surpass Landon Donovan (537) as the 8th most fouled in MLS history with 42 more. Davy Arnaud (71) may surpass Pablo Mastroeni (81) as the 2nd most yellow cards received with 11 more. Tyrone Marshall (66) may reach 4th most yellow cards received. will surpass Carey Talley (67) as the 5th most yellow cards received with 2 more. will surpass Mike Petke (70) as the 4th most yellow cards received with 5 more. Chris Wingert (60) can enter top 10 all time most yellow cards received with 2 more. Paulo Nagamura (58) can enter top 10 all time most yellow cards received with 6 more. Tyrone Marshall (7) may reach 1st most red cards received. will surpass Pablo Mastroeni (8) as the 2nd most red cards received with 2 more. will surpass Clint Mathis & Jamison Olave (9) as the most red cards received in MLS with 3 more.